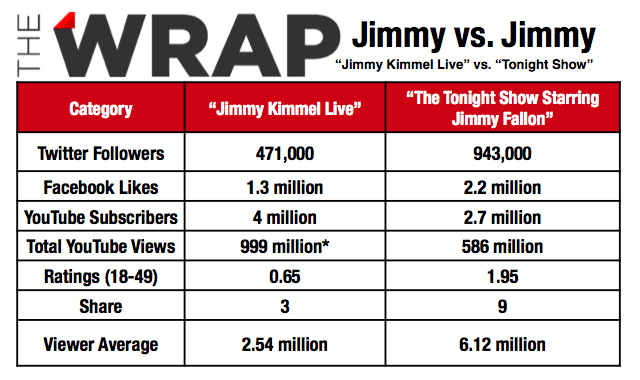 Jimmy Kimmel is ABC’s answer to late night. His show, which previously aired 12:05 am after Nightline, now begins at 11:35 pm, before Nightline. 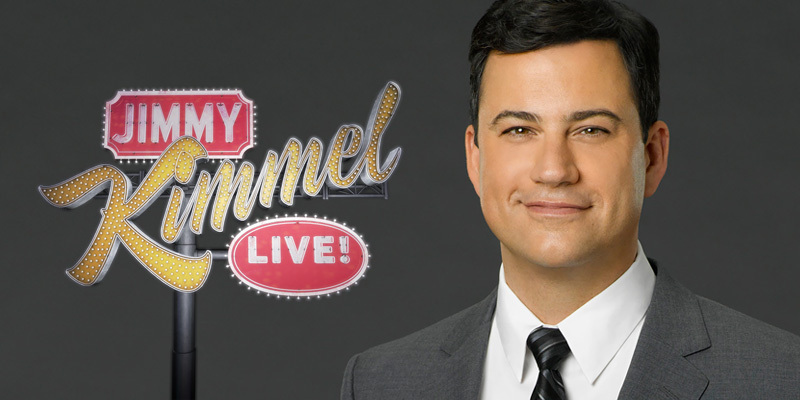 Moving his show 30 minutes earlier took 10 years — Jimmy Kimmel Live! debuted January 26, 2003 but didn’t make it to 11:35 pm until January 8, 2013. Jimmy Kimmel Live! (aka JKL) was originally broadcast live, but due to concerns about its sometimes controversial content, ABC began pre-taping his shows. Despite this, Kimmel still steers up controversy, most recently during an October 16, 2013 episode when during a taped segment of “Kids Table,” an elementary school-aged child suggested killing everyone in China as a way to solve the U.S. debt problem and Kimmel laughed it off as an interesting idea. Unique about Jimmy Kimmel Live! is its friends & family-orientation — not so much in the content of the show, but of its cast. Jimmy Kimmel’s band is led by Cleto Escobedo III, a childhood friend, and Cleto’s dad, Cleto Escobedo, Jr. is a member of the band. “Uncle Frank” Potenza, Kimmel’s uncle, appeared regularly on JKL until his death; he was 77. “Uncle Frank” was married to Aunt Chippy (they divorced in the mid-90s, after 28 years of marriage), who also appears on JKL. In addition, Jimmy’s “Cousin Sal” helps with hidden camera pranks.